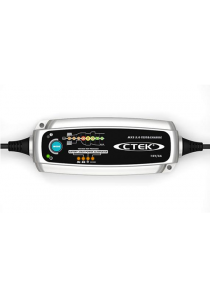 The CTEK MXS 7.0 is the perfect universal 12V charger. 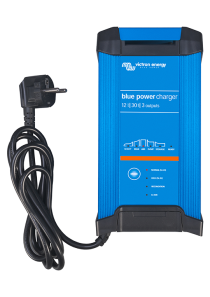 It is ideal for charging larger batteries such as caravan, RV, boat and car batteries. These types of vehicles often demand features that can solve a broad range of battery-related problems. The CTEK MXS 7.0 offers features such as battery diagnosis that shows if a battery can receive and retain a charge, a special reconditioning function that restores stratified and deeply discharged batteries, unique maintenance charging, a mode for optimised charging during cold winter days and the charging of demanding AGM batteries (i.e. Optima). It also has a power supply mode which allows the battery to be disconnected from the vehicle without losing important configurations. 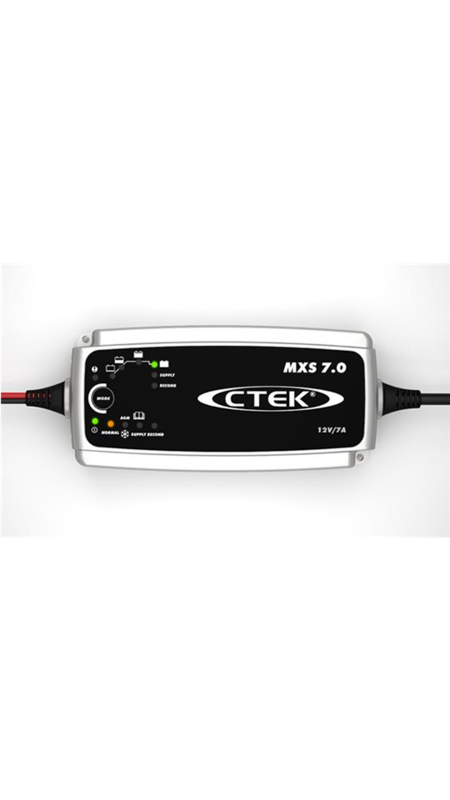 The CTEK MXS 7.0 is a fully automatic 8-step charger that delivers 7A to 12V batteries from 14–150Ah and is suitable for maintenance charging up to 225Ah. The charger is IP 65 classified (splash and dust proof), designed to protect vehicle electronics and non-sparking, reverse polarity protected and short-circuit proof. It is delivered with a 5-year warranty.